Marking its move into the system analysis and design market, Cadence offers the Clarity 3D Solver that is claimed to deliver up to x10 performance for electromagnetic simulation with virtually unlimited capacity and gold-standard accuracy. The Cadence Clarity 3D Solver delivers up to x10 faster simulation performance and more capacity than legacy field solver technology, says Cadence. 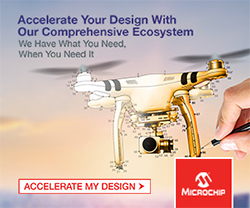 It uses distributed multiprocessing technology for electromagnetic challenges encountered when designing complex 3D structures on chips, packages, PCBs, connectors and cables. According to Cadence, it brings true 3D analysis to any engineer with desktop, high-performance computing (HPC) or cloud computing resources. The Clarity 3D Solver easily reads design data from all standard chip, IC package and PCB implementation platforms while also providing unique integration benefits for design teams using the Cadence Allegro and Virtuoso implementation platforms. 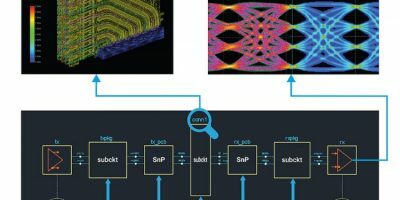 Highly complex structures found in silicon interposers, rigid-flex PCBs and stacked-die IC packages must be modelled accurately in 3D for structure optimisation and high-speed signalling compliance. High-speed signalling, such as in 112G serialiser/deserialiser (SerDes) interfaces, relies on high-fidelity interconnect design. 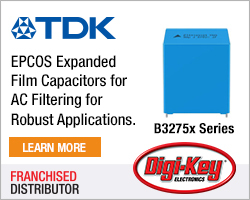 A slight change in impedance can negatively impact bit error rate, explains Cadence, requiring extensive research of complex extractions and simulations, involving legacy field solvers running on high-performance servers. 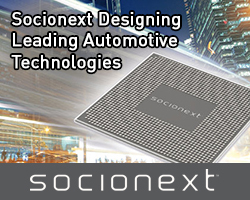 Clarity 3D Solver technology addresses the most complex electromagnetic challenges faced when designing systems for 5G communications, automotive or advanced driver assistance systems (ADAS), high performance computing (HPC) and IoT applications. Cadence’s distributed multiprocessing technology enables the Clarity 3D Solver to deliver virtually unlimited capacity and a x10 acceleration required to efficiently and effectively address these larger and more complex structures. The Clarity 3D Solver creates highly accurate S-parameter models for use in signal integrity (SI), power integrity (PI) and electromagnetic compatibility (EMC) analysis, enabling simulation results that match lab measurement. The Clarity 3D Solver is optimised to distribute a job across multiple low-cost computers while remaining equally efficient when running on a more powerful and expensive server with terabytes of memory. A distributed adaptive meshing approach and significantly smaller memory requirements than legacy 3D field solvers enable the Clarity 3D Solver to extensively use cost-effective cloud and on-premises distributed computing. Using the Clarity 3D Solver in conjunction with the Cadence Sigrity 3D Workbench, users can merge mechanical structures such as cables and connectors with their system design and model the electrical-mechanical interconnect as a single model. The Clarity 3D Solver is also tightly integrated with the Virtuoso, Cadence SiP Layout and Allegro implementation platforms, enabling 3D structures to be designed in the Allegro and Virtuoso environments, optimised in the analysis tool and implemented in the design tool without being redrawn.